The "True End of Century RPG." Metal Max Xeno will launch in Japan in spring 2018. Update 3:00 a.m.: New details have come in. The game is set in the year 209X in a country called Nippon (Japan—it’s spelled out in Katakana). The protagonist is named Talis. Half of his body is mechanized, and he has the power to take on powerful monsters on his own. The heroine is named Toni. Her father was killed, but she was saved by Talis and sticks beside him. There is a mechanic named Yokky, who spends his days indulging in alcohol. His weapon is a huge wrench even bigger than himself. 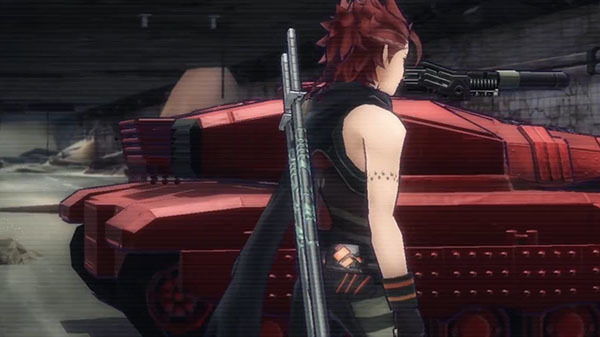 The tank is called “Crimson Avenger R-Wolf” and is designed by Atsuji Yamamoto. The enemy is “SoNs,” monsters whose aim is to eradicate all human life. On the field, you an launch a preemptive strike at enemies by firing from your tank. This is a tank and human RPG return to roots. While Metal Max 4 cannot be called a sales success, Metal Max Xeno is a return to roots and a rebirth, in a series different from the numbered titles, that sweeps the slate clean. The setup where Noah caused the great destruction and the Blood Corporation exists has not changed, but the time period is different. The setting is built to give off the feeling of Tokyo. There are bounties and tank customization. This will be the fullest entry in the series yet. Your first playthrough is a huge tutorial. Your second playthrough is the real Metal Max. You’ll be able to listen to the “WANTED” music track. There are also plenty of new songs, but a sufficient amount of old songs are also in the game. 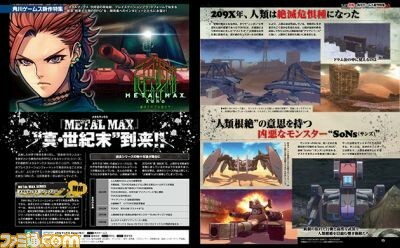 Metal Max Xeno is the successor to the cancelled Metal Max: Wild Eyes. 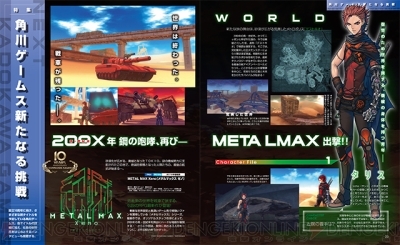 They’re trying to make an entirely new series that uses the distinctive characteristics of previous Metal Max games. Development is being handled by Kadokawa Games, Cattle Call, and 24Frame.